A very quirky, recently refurbished 2/3 bedroom town house in a fabulous location in the heart of Exeter city centre. 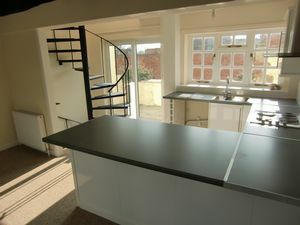 The property benefits from two double bedrooms, two shower rooms, open plan living room/kitchen and sun balcony. The location could not be more central, with the high street being a very short walk away. The charming Grade II listed town house retains individial character with features surch as the wrought iron spiral staircase and beamed ceilings, whilst still providing modern, functional accommodation. 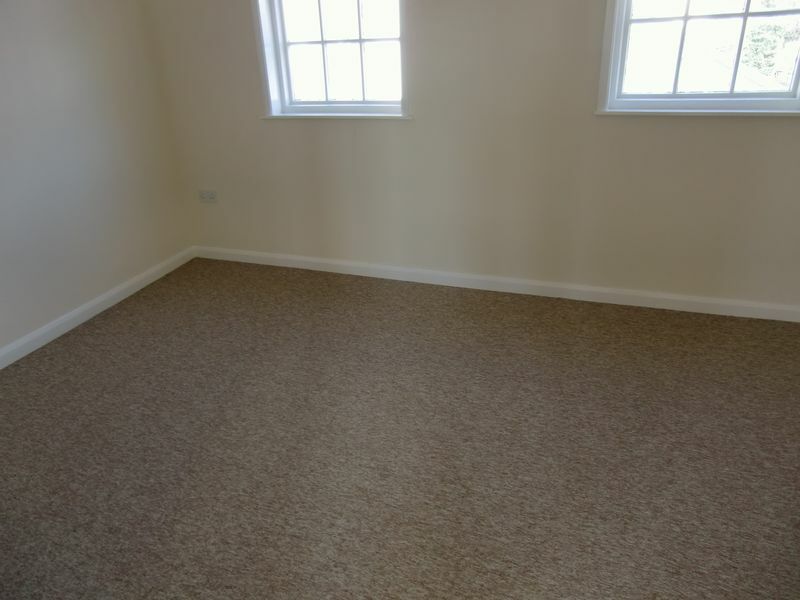 In addition to the two double bedrooms, the third room on the lower ground floor provides an excellent space that could equally be used as a third bedroom, study or hobbies room. 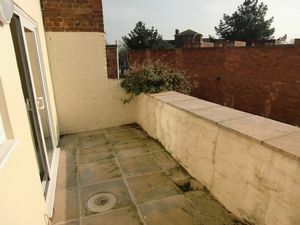 The sun balcony to the rear of the property offers a pleasant outlook and a southerly aspect that catches the sun. Wrought iron spiral staircase to lower ground floor and first floor, radiator. Multi glazed bow window with outlook to front, feature beamed ceiling, radiator. Tiled shower cubicle with electric shower unit, low level WC, wash hand basin, extractor fan. Study - 14' 0'' x 13' 0'' (4.27m x 3.96m) Max dimension. Study/Hobbies Room, narrowing to 7ft 9in x 7ft 2in. 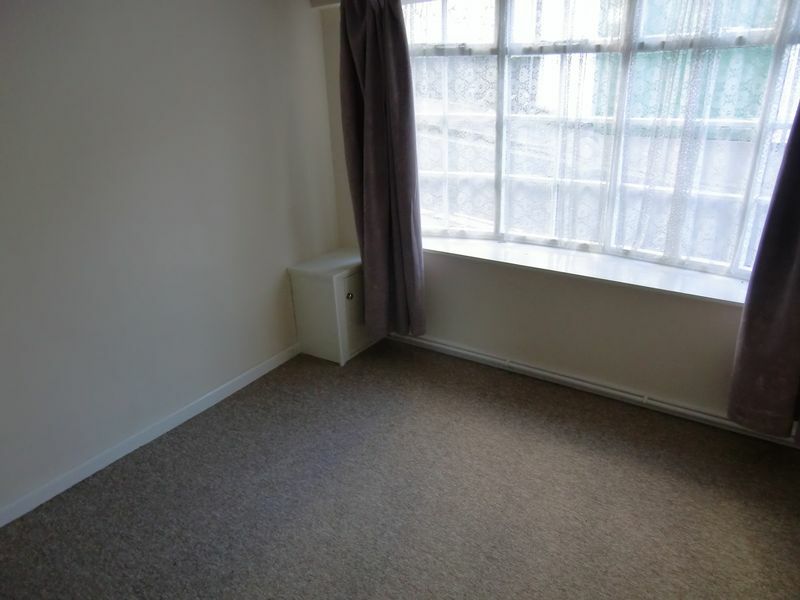 An irregular shaped room, radiator. Living Room/Kitchen. Inclusive of fitted units. 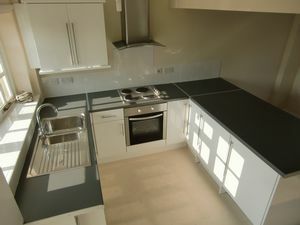 Built in electric cooker/hob with extractor above. A light and characterful room with beamed ceilings, deep sill multi glazed bow window with outlook to front, further window to front, multi glazed window to rear, sliding double glazed patio doors to paved sun balcony. Spiral staircase to second floor landing. Multi glazed window to rear, wall mounted gas boiler serving central heating and hot water. Bedroom One. Two multi glazed windows to front, radiator. Double shower cubicle, low level WC, pedestal wash hand basin, extractor fan, multi obscure glazed window to rear. Did you know you could follow us on Facebook? Search "Robertwilliams.co.uk" and like our page for regular updates and information. Energy Performance Rating: D No Housing benefit/Smoking/pets. 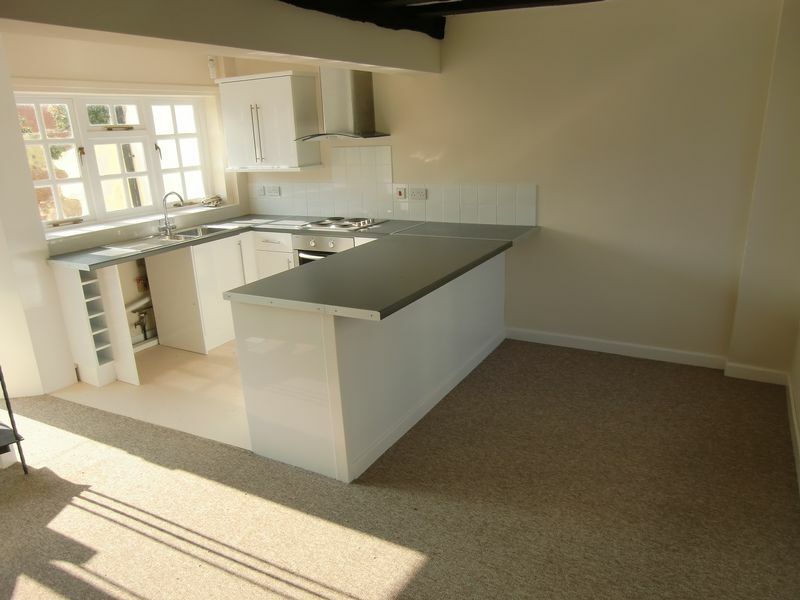 Referencing/Admin Fees: £200 for first tenant + £100 for each additional tenant/guarantor. The first months' rent and a deposit of £875 will be required and the tenants will be responsible for all the usual statutory outgoings including the Council Tax (Band B). Descriptions and measurements are for guide purposes only and do not form part of any contract. 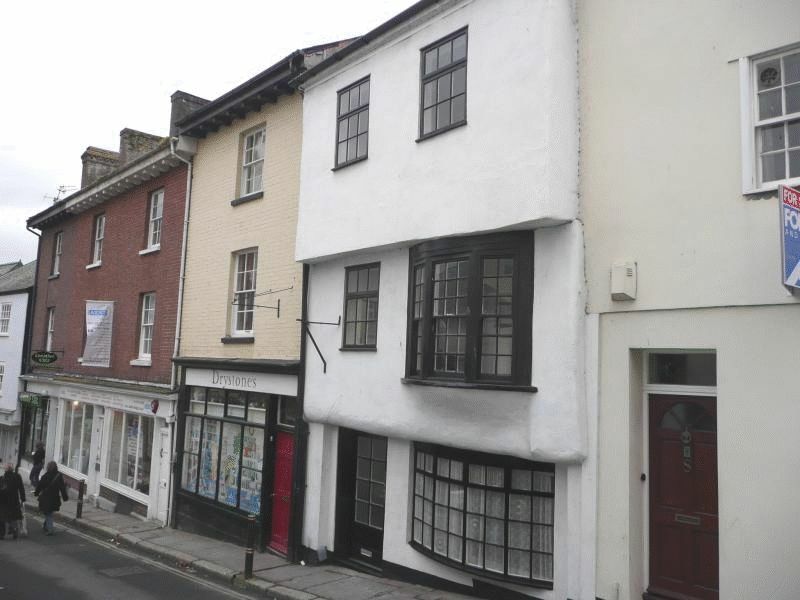 Information for Landlords: Robert Williams estate agents are a local, independent Sales and Lettings estate agency established in Exeter for over 19 years. For a free no obligation market appraisal or for more information regarding our services, please call us today!